A landmark treaty protecting the world's high seas could be signed in two years. After more than a decade of discussion in the United Nations, the high seas — waters that lie outside any country’s jurisdiction — may start to have some environmental protections put in place. In early 2018, a majority of the U.N. will begin discussing a treaty protecting high seas from pollution and human impacts. At least 141 of the 193 U.N. member states will start the formal talks that are expected to deliver a treaty for the protection of the high seas in 2020. “It is wonderful to have this strong indication of support and global recognition that we need to protect marine biodiversity in the areas beyond national jurisdiction — areas that comprise almost half of the planet,” Peggy Kalas, coordinator of the High Seas Alliance network, who will attend the negotiations, told Futurism. The treaty would set conservation areas and dictate catch quotas. 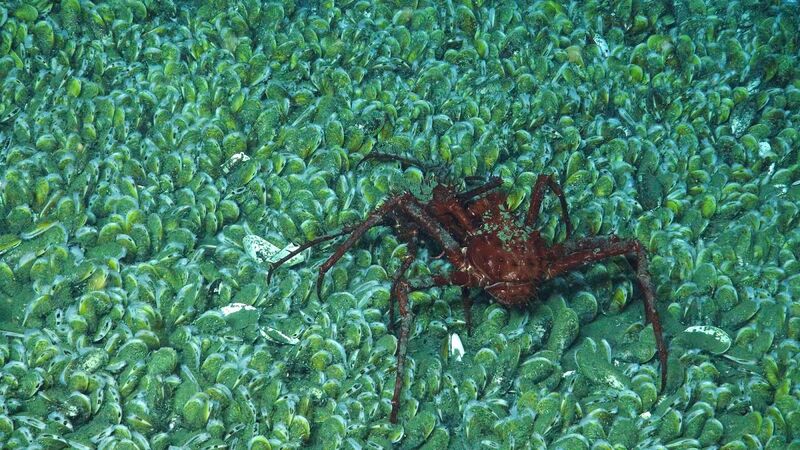 A lithodid crab crawling on a mussel bed in the North Atlantic Ocean. Image Credit: NOAA. The high seas make up about 58 percent of our oceans. They stretch from the tropics to the poles, from surface waters to the deep sea. Despite being host to a significant part of the planet’s biodiversity, very little is known about the environmental threats that impact those areas. According to the High Seas Alliance, only five percent of the high seas have been investigated, because most research focuses on coastal areas. This is partly due to the fact that the main sources of ocean pollution are chemicals like pesticides and fertilizers that are produced and used inland, and eventually find their way to the ocean as chemical run-off. Conservationists acknowledge that bringing together a vast number of countries with different interests and priorities is definite challenge. But the good news is that these models already exist on a smaller scale, and lessons drawn from national experiences can be used to inform high seas protection. “It is clear that the implementation phase will be extremely delicate,” Marco Affronte, Member of the European Parliament and former scientific adviser to the Cetacean Foundation of Riccione in Italy, told Futurism.